Last week, local south London paper Southwark News published our story on plans to remember the raid in October. On page 5, in the Walworth section, they previewed our story of the Boyce-Balls family, who had to be rescued from 101 Albany Road after the bomb hit, and lost two young sons. Members of the family hope to be at our events in October. 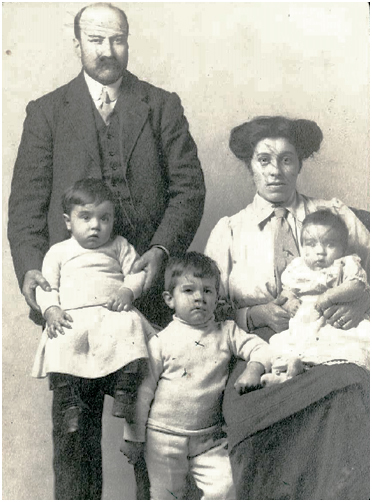 Sonny (standing) and Eddie (on his mother’s lap) both died in the attack, and Leslie (on his father’s knee) was permanently affected.